As climate change brings more flooding and more frequent tropical storms, Palauans' ancient relationship to the sea is starting to change. 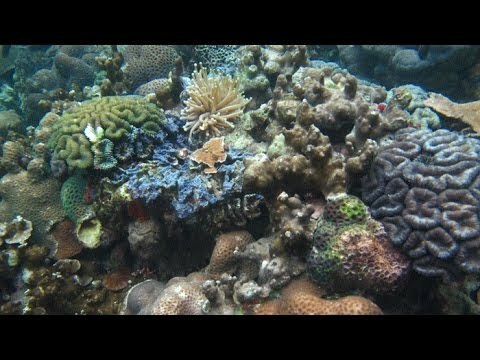 Scientists have found a group of corals in the Pacific island nation of Palau that live in water acidic enough to kill most other corals. Now they're hoping what they learn from the unusual reefs may help save others threatened by the increasing acidity of oceans around the world. The investigation continues into the terrorist attacks in Russia earlier this week. While there's been no claim of responsibility, officials are already worrying about what it means for the Olympics. Security is expected to be unprecedented. Plus Jihad Jane looks set for a long prison sentence and Edward Snowden pushes Julian Assange out of the spotlight in today's Global Scan. Residents of the tiny island of Kayangel are trying to cope with a new life after Typhoon Haiyan, which killed thousands in the Philippines, leveled their small community. Rob Ford is nothing if not a survivor. After being accused of patronizing prostitutes — a charge he denies — drinking and driving — a charge he admits to — and then making the sort of sexual comment that can't be repeated on a family-friendly website, he still hangs onto his job as mayor. Meanwhile, in Europe, it seems that in-flight phone calls may become OK. "Can you hear me now?" Ugh. Plus more in today's Global Scan. The southern Pacific is home to someof the last healthy tuna populations, but they're coming under intense pressure from international fishing fleets. Shannon Service reports from Palau on the tiny country's efforts to protect its tuna populations from overfishing. Anchor Marco Werman speaks with Stewart Beck, United Nations representative to the Pacific Island nation of Palau, about the 17 Chinese Uighurs now detained at Guantanamo Bay who will soon be making Palau their home. The World's Mary Kay Magistad reports on the Pacific island nation of Palau ï¿½ and its China dilemma. Right now, Palau has diplomatic relations with Taiwan, not China. But China's growing influence in the region is causing some on Palau to reconsider. The Pacific island nation of Palau has established the world's first no-fish zone for sharks. But the task of protecting the threatened fish got harder this week. The World's Mary Kay Magistad reports. Palestinians scored a diplomatic victory on Thursday when the United Nations General Assembly granted their request for nonmember observer status, rejecting a call from Israel and the United States to put that off until Israel and the Palestinians reach a permanent peace agreement.